Have your kids ever wondered what’s in ketchup? Help them make it from scratch and find out! 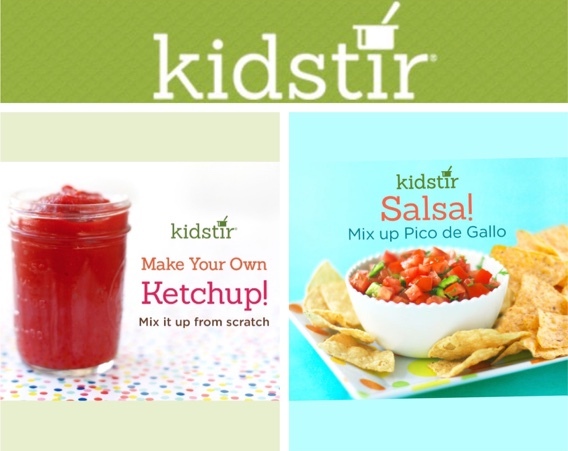 Our all-natural ketchup recipe can be mixed up in a flash. Make it today for your cookout tonight! In just 15 minutes hands-on time using kid friendly tools: can opener, large bowl, measuring spoons, and a whisk. Ingredients are tomato sauce, tomato paste, honey, garlic or onion powder, and salt. A grown-up can help open the cans of tomato sauce and paste. We are loving all the ripe tomatoes in our garden this week! 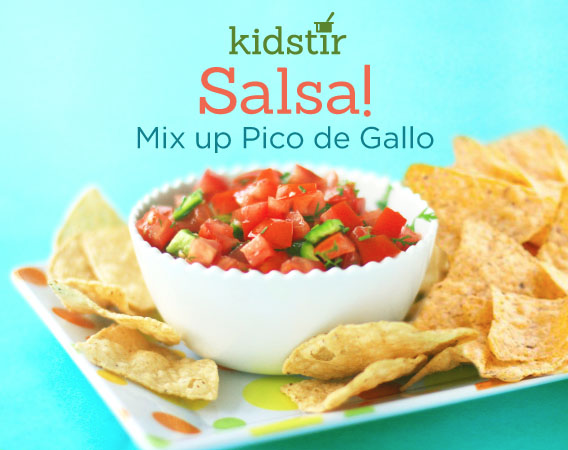 Teach your kids how to turn your own fresh tomatoes into Pico de Gallo with our easy fresh salsa recipe. Then pass the tortilla chips and dig in after just 10 minutes of prep time! Have your ever tried making salsa from scratch? This simple chunky salsa recipe is great with tortilla chips and quesadillas. It’s a great way for kids to practice their chopping skills. For a smooth salsa, you can mix it all up in a blender. Kids will learn to use these simple tools: pizza cutter or kitchen scissors, baking sheet, pastry brush and tongs. With only three ingredients tortillas, olive oil and salt – this quick kids cooking lesson produces a colorful and tasty treat kids and the whole family will enjoy. Need to drink more water? Everly’s delicious, all natural, sugar-free drink mixes flavor your water so you will drink more of it. And we have an amazing giveaway so you can try for yourself! 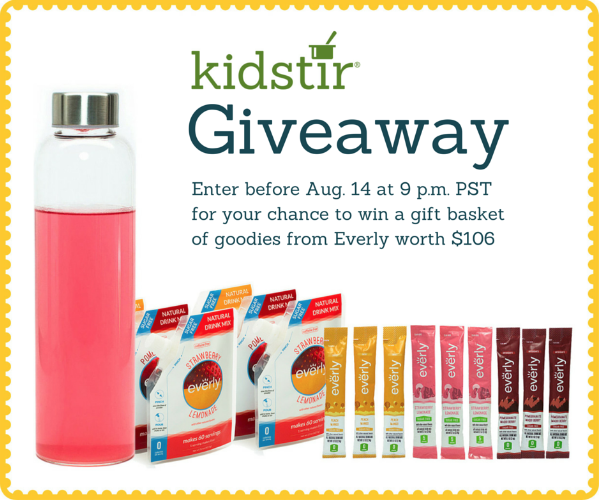 Share your family’s favorite summertime drink on our Facebook page and you’ll be entered for a chance to win an Everly gift basket worth over $100! Enter soon, a winner will be announced on Monday, August 15. Good luck!